1-3: © Ruud Altenburg, 30-06-05. Amsterdam, Netherlands. 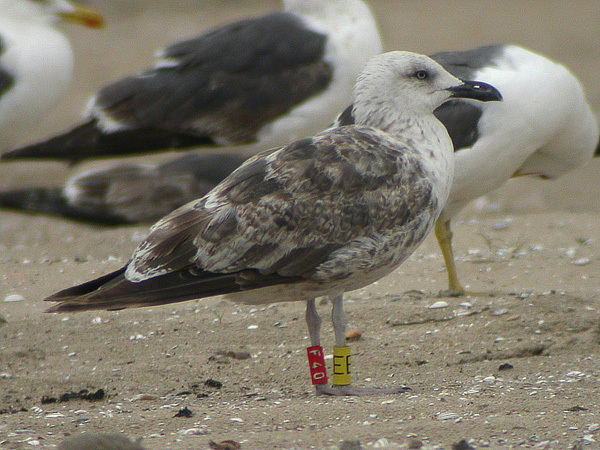 This Dutch graellsii, red F40 from the Maasvlakte colony, shows that this taxon does not necessarily always undergoes a restricted moult. It is an advanced bird that has replaced all scapulars, tertials and most wing coverts on the wintering grounds; only some upper lesser coverts still are juvenile. In addition, the tail has been renewed and probably some time ago, as the white tips of the rectrices have already worn off. 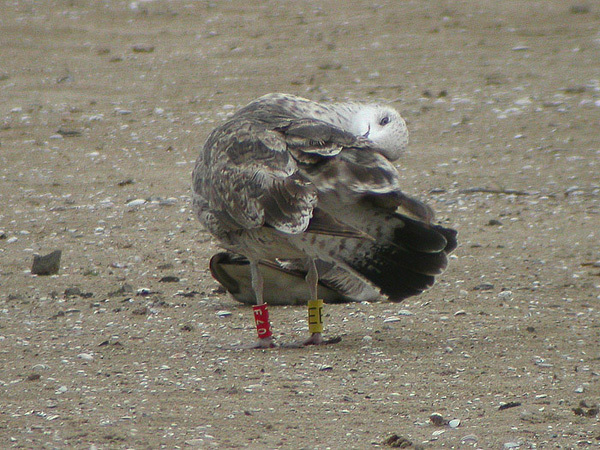 F40 shows several types of feathers: most are barred but some are darker and more plain. The plain feathers probably are the newest ones. 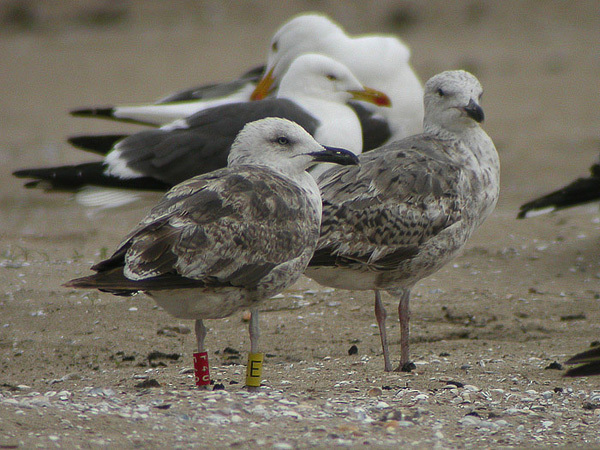 It is advanced also in terms of its primary moult: P7-10 are juvenile, P4 is growing; this is a much larger moult gap than shown by NLA 5.412.281.